Planning a wedding is like a walk in the park . . . Jurassic Park. That's how stressful it is to plan a wedding. 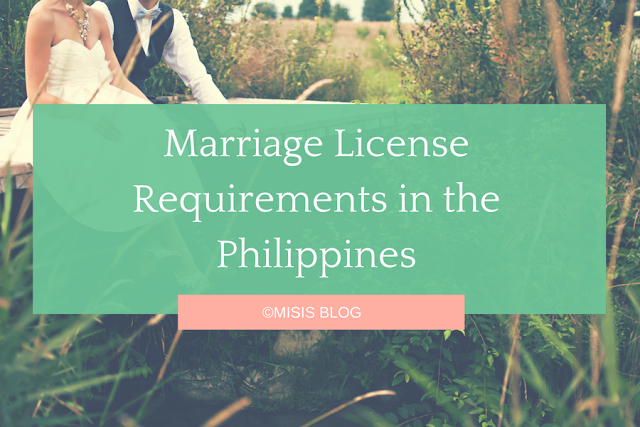 And when you're living in the Philippines, nothing is as stressful as going to the government office to get your marriage license. Here's a simple guide on the marriage license requirements in the Philippines. Note: This list is based on the requirements for Cebu City and locals. If one of the applicants is a foreigner, please contact the local civil registry office for more information. The marriage license is valid for 120 days (4 months) from the date of issue. An important tip is to start processing your marriage license 4 months before your wedding date. This will give you enough time to process the requirements, and you wouldn't have to worry about the validity period of the license once issued. If you request online, roughly 300php per copy of the birth certificate and roughly 400php per copy of the CENOMAR. If you request from the physical offices, roughly 100php to 150php per copy. If you request online, about 3 to 5 working days. If you request from the physical offices, within the day. Requesting online is hassle-free; you just need to pay the extra fees for delivery. You need to be the one to receive your parcel. If not, you can always prepare a letter of authorization for whomever is at home. For Cedula, it depends how much your salary is. They will also charge you extra for late registration. Computation for community tax = YTD gross income ÷ 1,000 + 5. For Barangay Certificate, it depends whether the barangay will charge you. Prepare roughly 100php. You can just wait for this. However, if the Barangay Captain isn't available to sign, you might want to come back the next day. A barangay certificate is simply your certificate of residence. It differs from a barangay clearance, which specifies that you are a resident with good standing and good moral character, and that you do not have any negative records. This was the trickiest part for us, because the barangay will only issue a certificate if you are a registered (and active) voter in the same exact place. May take half a day or the whole day. It depends on where you're applying for marriage license. You can only be accommodated if you are a registered (and active) voter in the same city/municipality. Some may ask for your Voter's Certificate, which you can request from the Comelec office. This is usually scheduled during the weekday, office hours, so better to file a vacation/personal leave. You and your spouse-to-be must go together when asking for a schedule. Bring all of your requirements during the seminar. After the seminar, you will fill out the marriage license application form and submit all your requirements. You can only be accommodated if you are a registered (and active) voter in the same city/municipality. You fill out this form immediately after the seminar (pre-marriage counseling), together with the submission of the other requirements.